Violinist Patricia Davis performs regularly in ensembles at Lincoln Center, Carnegie Hall, and on Broadway. She has collaborated with composers on premieres of new works, and was recently featured as solo violinist on WQXR with pianist/composer Beata Moon. She has served as jurist for The Juilliard School Pre College Concerto Competition, New York International Artists Association Competition, The New York String Orchestra Seminar and Columbia University’s Concerto Competition. She has a passion for music education and has been a lecturer and moderator for Explore New York and American Symphony Orchestra student workshops integrating history, art, music and science. 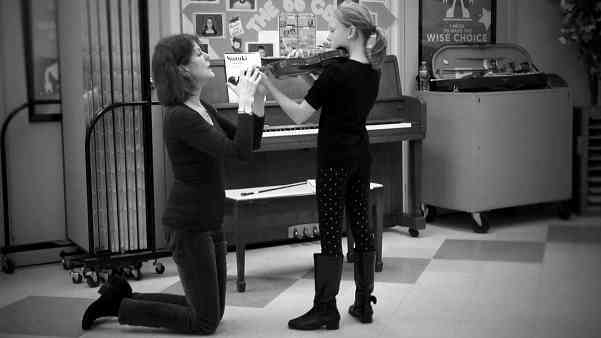 Ms. Davis completed her Suzuki Teacher Training at The School for Strings, NYC and has taken teacher enrichment courses with Doris Preucil, Linda Case, Linda Fiore, and Cathy Lee. At the Geneva Conservatory she currently trains young violinists in the Suzuki Method, teaching individual lessons and violin group classes. Ms. Davis has participated in music festivals including Aspen, Banff, Bard, Britten-Pears, Caramoor, Prussia Cove, Schleswig-Holstein, and the New York String Orchestra Seminar with Alexander Schneider. Her primary teachers have included Joyce Robbins, Sylvia Rosenberg, David Cerone, and the members of the Cleveland Quartet, and she has also studied with Dorothy Delay, Felix Galamir, Lillian Fuchs and Rodney Friend. She graduated from the Eastman School of Music, London’s Royal College of Music and SUNY Stony Brook where she received a Doctor of Musical Arts in violin performance. She has completed additional studies with William Starr and Anastasia Jempelis.